Check out the awesome work of our partners at the Dream Center during their Summer Leadership Camp 2017. Congratulations to the team and nice job to the participants! Enjoy their video HERE. 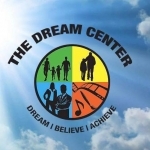 To learn more about the Dream Center visit them online HERE or on FaceBook at TheDreamCenter1.